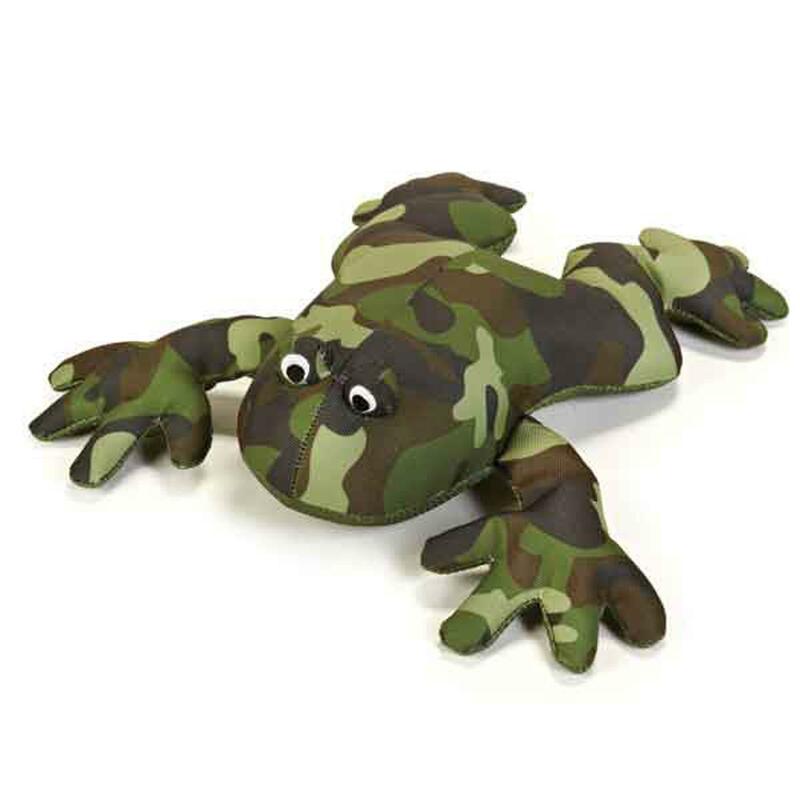 Get a friend your big pal will love to chew, tug, and fetch with the Grriggles Giant Camo Dog Toy Frog! The Grriggles® Giant Camo Dog Toy will make tug time a great time. These fun toys have two textures with nylon and mesh with a camouflage design. Dogs will live to have all the reptile Grriggles Giant Camo Dog Toy friends. Grriggles Giant Camo Dog Toy - Frog Customer Photos - Send us your photo! We celebrated Blaze 7th bday yesterday and he was super excited about his new "monkies" AKA the giant camo frog! Look at that face!! Great site! I'm excited to have found it. Still a bit pricey but overall, great experience thus far.